It has been design week in Milano. The Salone del Mobile is the most important event the city hosts during the year. The energy and vitality of the Salone becomes a point of reference for the world of design and adds to the excitement here as so many interesting people arrive for this ongoing series of events throughout the city; and always presentations of new works to visit and new re-editions to see. 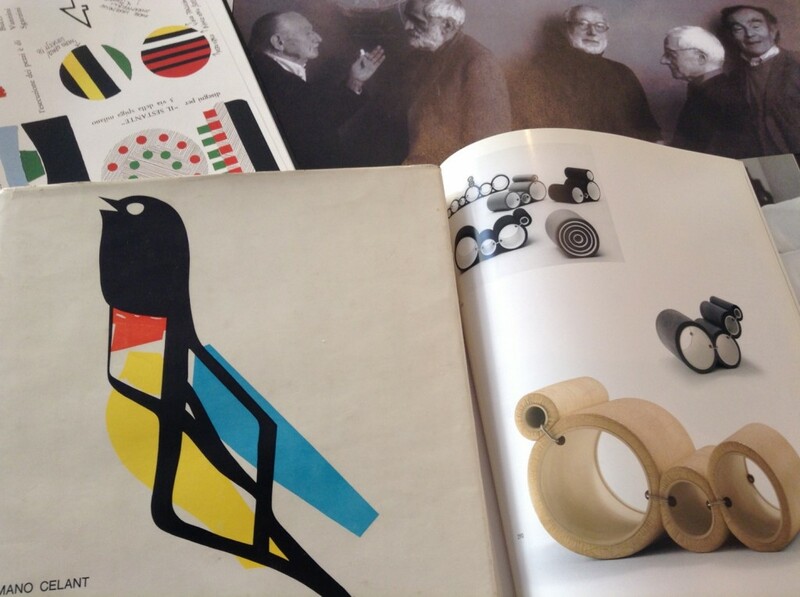 In the book on my desk you can see a photograph of Ettore Sottsass, Enzo Mari, Andrea Branzi, Alessandro Mendini, and Vico Magistretti – the gods of design all gathered together! The picture is by Ramak Fazel. Re-editions are a dream when something of beauty is again able to be seen. 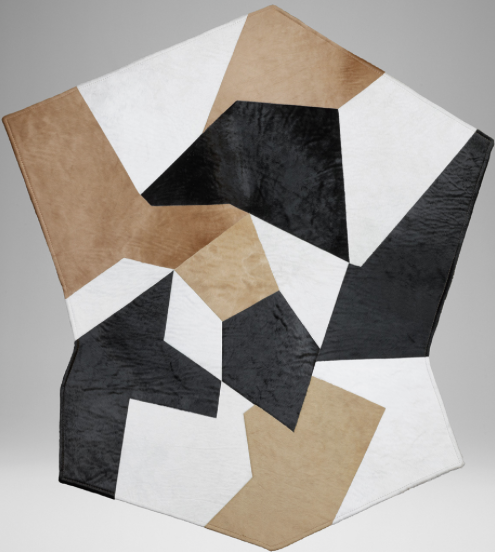 Molteni & Co. made re-editions of a few Giò Ponti pieces – a chair, a bookshelf, a table, and some frames, but this rug from1954, seen here, is a must. A design object of desire. in 1961 in nickel silver. 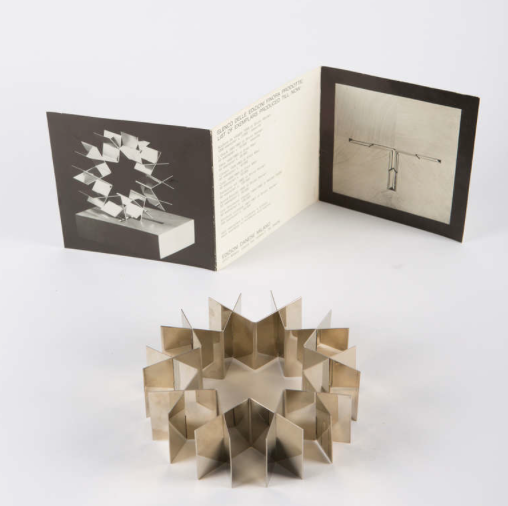 Here, a rare block sculpture of Enzo Mari for Danese,1959. 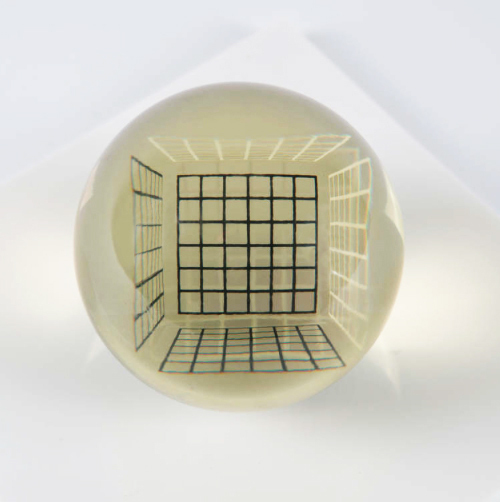 Made of transparent polyester resin, it contains elements that give an amazing optical cinematic effect. Mari was constantly researching and experimenting. He is a living treasure of Italian design. in melamine resin from 1959. The moon in a room: this lighting fixture of Vico Magistretti for Artemide is in the history of design. 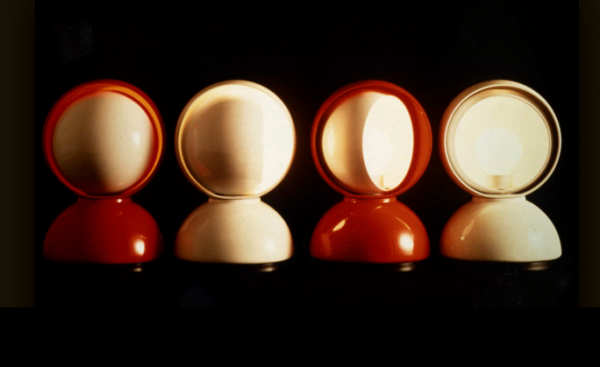 A single hemisphere repeated three times, from full moon to full eclipse, designed in 1966; the name is of course “Eclisse”. The exhibition at the Triennale this year is perhaps the most important statement on Italian design presented in a single space. “Italian design beyond crisis – Autocracy, Austerity, Automation”. 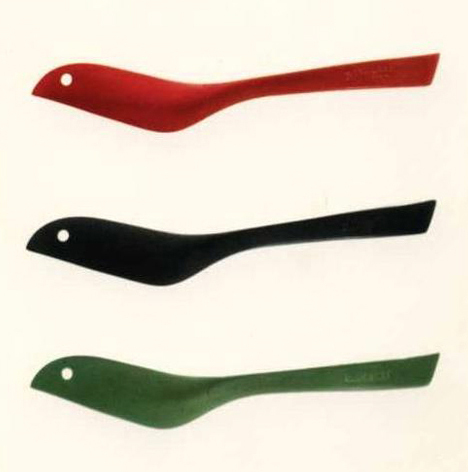 It is a review of the history of Italian design from the 30’s to today. 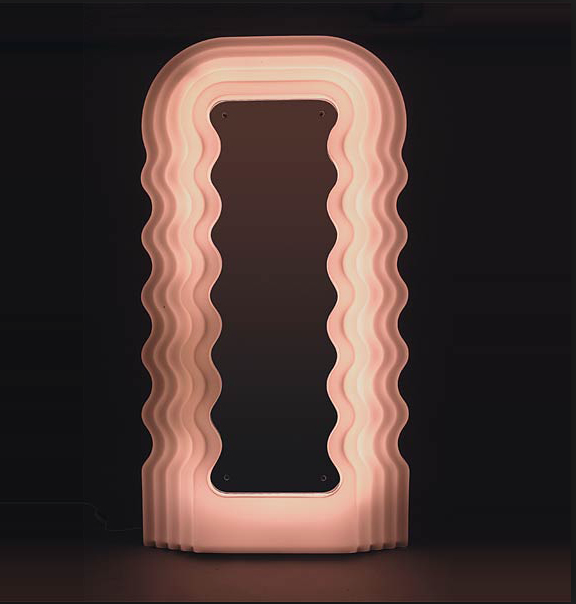 As architect Beppe Finessi quoted in his forward, “necessity is the mother of invention” and surely Italian design is well represented in this show of over 600 works. 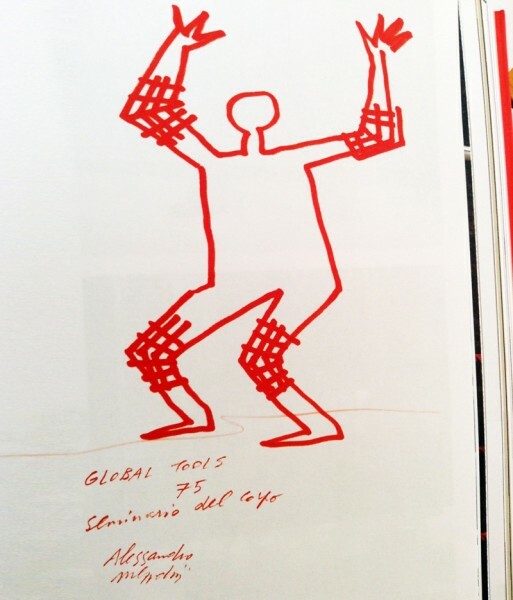 Here, a drawing by Mendini from the beautiful exhibition catalogue. This is more than a mirror. This is the only mirror I have always wanted. Ettore knew light reveals beauty. A new and comprehensive retrospective of Sottsass’ work is soon to be published by Phaidon. Soon here too.